If you live in Lexington, Kentucky, or anywhere across the state, and you suffered an injury or lost a loved one due to someone else's negligent, careless or unlawful actions, you can turn to Goode Law Office, PLLC, in Lexington for the quality, effective advocacy you deserve. Prior to focusing on plaintiff injury claims, Mr. Goode worked as an insurance defense attorney for a prominent area law firm, so he understands all too well the tactics insurance providers use to reduce or deny claims. Armed with this experience, he can better challenge the opponent's case and devise a strategy that will help you recover the full amount of compensation for the damages you incurred. Successfully arguing cases all the way up to the Kentucky Supreme Court, Mr. Goode has gone toe-to-toe with numerous large corporations and health care providers, securing millions of dollars in judgments, settlements and awards for those in need, and he has helped affect positive changes in the law to prevent similar accidents from occurring in the future. 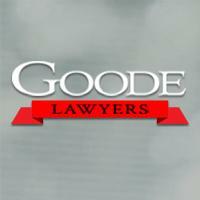 By contacting Goode Law Office, PLLC, as soon as possible after your accident and taking advantage of the law firm's free initial consultation, you can begin the process of securing a brighter future for yourself and your family.